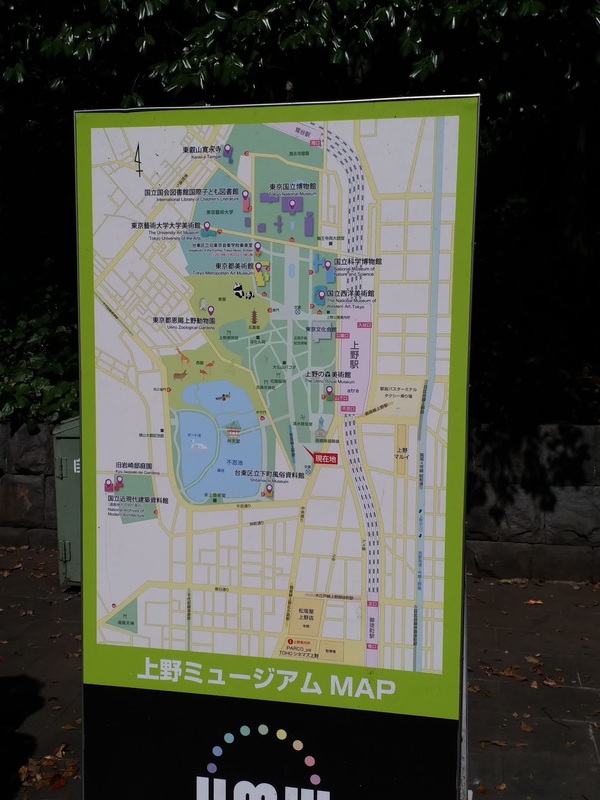 This park is conveniently located next to three train stations: the Ueno Station (the Metro Line), the JR Yamanote Line station, and the Keisei Line station. 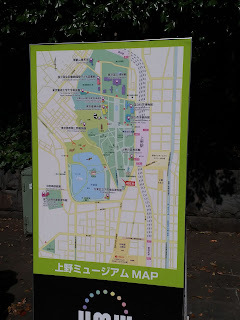 At the south entrance of the park there is a small restaurant where one buy food and drinks. Immediately outside this restaurant is an open space with tables and chairs where one can freely sit to enjoy the sunshine and the park’s green environment. The zoo is at the western side of the park while several museums and art galleries are located at the eastern part of the park. Lotus is grown in the Shinobazu pond (located at the south of the zoo) and carp fish up to two feet long can be seen swimming under the lotus leaves. In the zoo one can see the panda after paying an entrance fee. 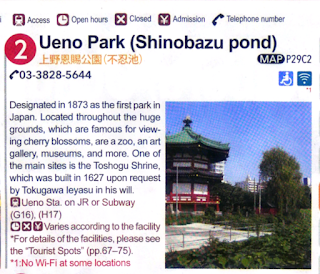 For me the attraction of the Park is the different art galleries and museums nearby, for example the National Museum of Nature and Science (国立科学博物館), the National Western Arts Gallery (国立西洋美術館), the Tokyo Bunka Kaikan (東京文化会館), the Ueno Royal Museum(上野の森美術館), the Tokyo Metropolitan Arts Museum(東京都美術館), and the Tokyo National Museum (東京国立博物館) etc.